Tramadol is prescribed for moderate to moderately severe pain. Because it is one of the least potent drugs in the opioid class, many people underestimate its potential for abuse and addiction, which can be crippling to those who suffer from it. Referred to on the street as “chill pills,” “trammies,” or “ultras,” tramadol is often sold illegally as a lighter version of OxyContin or heroin. The drug is typically abused for the feelings of well-being and sedation it produces, particularly in higher doses. Do You Need Help With Tramadol Addiction? Who Answers? . You can receive treatment options based on your insurance coverage. Crushing and snorting the tablets. Dissolving the tablets in solution for injection. Users may also take tramadol more often than prescribed, take it in higher doses than prescribed, or mix it with alcohol and/or other prescription or nonprescription drugs. Short-term effects include reduced perception of pain, euphoria, relaxation, and drowsiness. Even though tramadol is a less potent opioid, it still has a potential for abuse due to its pleasant sedating effects and its influence on brain reward mechanisms. Uncontrollable shaking/tremors in certain parts of the body. Sleep problems (difficulty falling asleep or staying asleep). Swelling of the eyes, lips, face, tongue, etc. Increased risk of infectious disease (if injected). Risk of automobile accident while driving under the influence. Marital and familial problems due to problematic drug use. Poor work or academic performance. Overall health decline as a result of drug addiction. Looking for Tramadol Detox Centers? Who Answers? to speak to a recovery support specialist about detox and addiction treatment centers near you. Over time, the brain and the body can become accustomed to tramadol and may seem to function suboptimally without it. When taken on a long-term basis, tramadol leads to the development of physical dependence and will result in a myriad of withdrawal symptoms when use is abruptly stopped or lessened. Tingling and numbness in the extremities. It may be challenging for people abusing tramadol to realize that they have a problem. 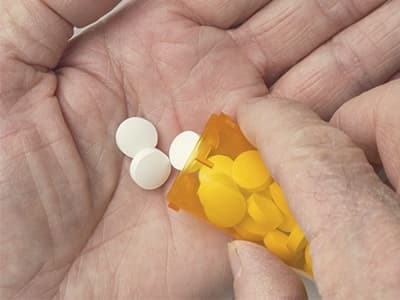 Many people begin taking the drug as prescribed by their doctor for acute or chronic pain and may not recognize that they have developed an addiction because they see the drug as medicine. For this reason, those who take the drug should be aware of the signs and symptoms of addiction so that they know when to seek help if their use becomes a problem. Taking higher doses than prescribed. Running out of prescriptions and purchasing more on the streets. Taking the drug in a way other than prescribed. Drug-seeking behavior (doctor-shopping, forging prescriptions, repeated “loss” of prescriptions, etc.). Taking illicit actions to obtain tramadol. Using the drug for nonmedical purposes. Making excuses to use drugs. Missing work, school, or other commitments and duties as a result of drug use. Neglected personal appearance and hygiene. Secretive behavior surrounding drug use. Missing activities due to drug use. Social isolation due to drug use. Continued use despite any harm it may be causing. Physical tolerance resulting in withdrawal symptoms when use is abruptly stopped. Hostility when confronted about use. If you notice the signs of addiction in yourself or a loved one, call one of our treatment support specialists today at 1-888-319-2606 Who Answers? . It is important to understand the difference between dependence and addiction. The majority of people who use tramadol long-term will likely become dependent on it. People can be develop physical dependence to a drug without being addicted to it. However, those who are addicted are typically dependent as well. Addiction is a chronic and crippling condition that results in compulsive behavior and an inability to control drug use despite obvious harm that it may be causing in one’s life. Combining tramadol with other drugs increases the risk of overdose. Perhaps the greatest risk of tramadol abuse is overdose, which can lead to accidental death. Tramadol overdose is not likely when taken as prescribed by a doctor, but it can occur in those who abuse it. Those who suspect a tramadol overdose should call 911 and seek emergency assistance immediately as overdose can be fatal. Tramadol addiction can lead to physical and emotional challenges. Many recovery centers and rehabilitation programs are designed to help people detox under medical supervision and rebuild their lives, free from drug addiction and dependence. For assistance finding a tramadol addiction treatment center that’s right for you or your loved one, contact one of our recovery support specialists for assistance at 1-888-319-2606 Who Answers? .
. U.S. National Library of Medicine. (2016). MedlinePlus, Tramadol.
. Drug Enforcement Administration. (2014). TRAMADOL: (Trade Names: Ultram®, Ultracet®).
. D.M. Bush. (2015). The DAWN Report: Emergency Department Visits for Drug Misuse or Abuse Involving the Pain Medication Tramadol. Substance Abuse and Mental Health Services Administration, Center for Behavioral Health Statistics and Quality. Rockville, M.D.
. Rosenthal, Norman. (2010). Federal and Drug Administration. Important Drug Warning.
. Berger, F. (2014). MedlinePlus, Substance Use Disorder. U.S. National Library of Medicine.
. Substance Abuse and Mental Health Services Administration (SAMHSA). (2013). Results from the 2013 National Survey on Drug Use and Health: Detailed Tables.
. National Library of Medicine. (2016). Opiate and opioid withdrawal.